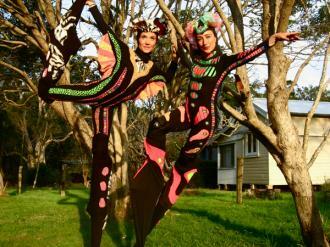 A little bit crazy, with a whole lot wild, these Roving Characters will rock the socks off the young at heart. 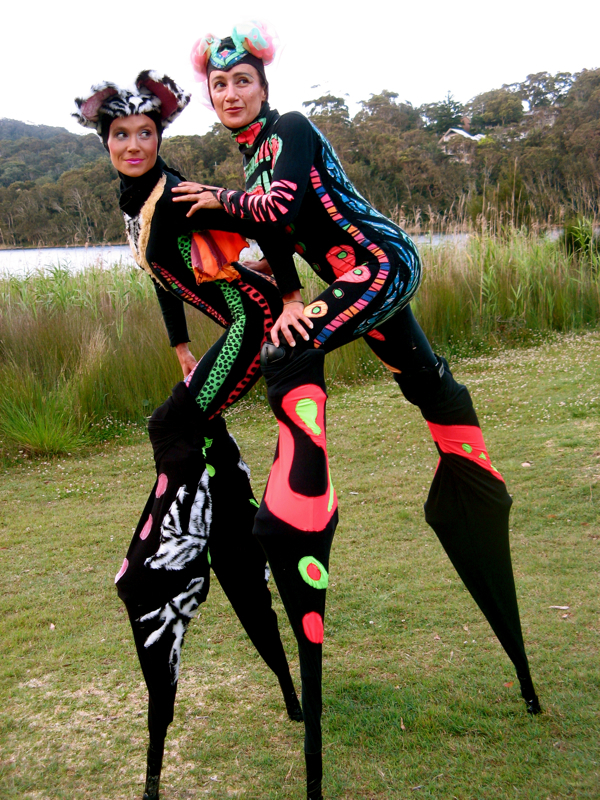 Funny, sweet and terribly endearing, we are working with a couple of wacky cats who will amuse, surprise and impress an audience of all ages and cultural backgrounds. 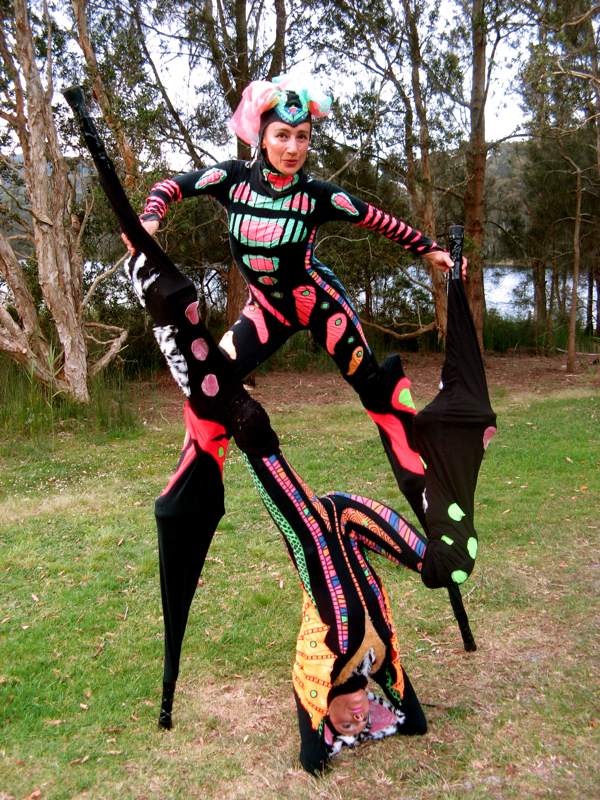 Flying Cat and Mitsy Lou are Stilt Acro Creatures who perform dynamic contortions with their bodies as they rock and roll (quite literally!) into a playful world of balancing with one another.